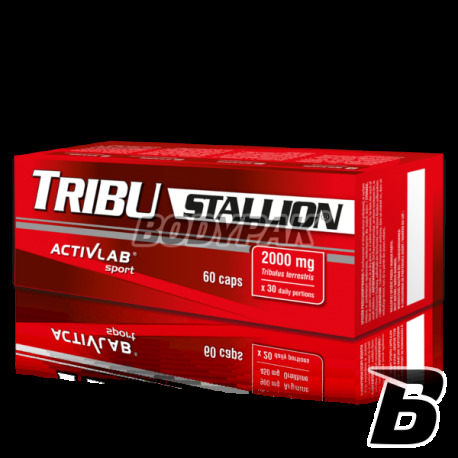 Testosterone BoostersActivlab Tribu Stallion - 60 kaps. Natural origin extract of Tribulus Terrestris in capsule form. If you are looking for a way to improve their results by increasing testosterone levels, the effect on the body is very high - just think about the type of preparation! The high level of the extremely anabolic hormone not only affects the effects, but also a better recovery, improve libido and increase sexual ability! 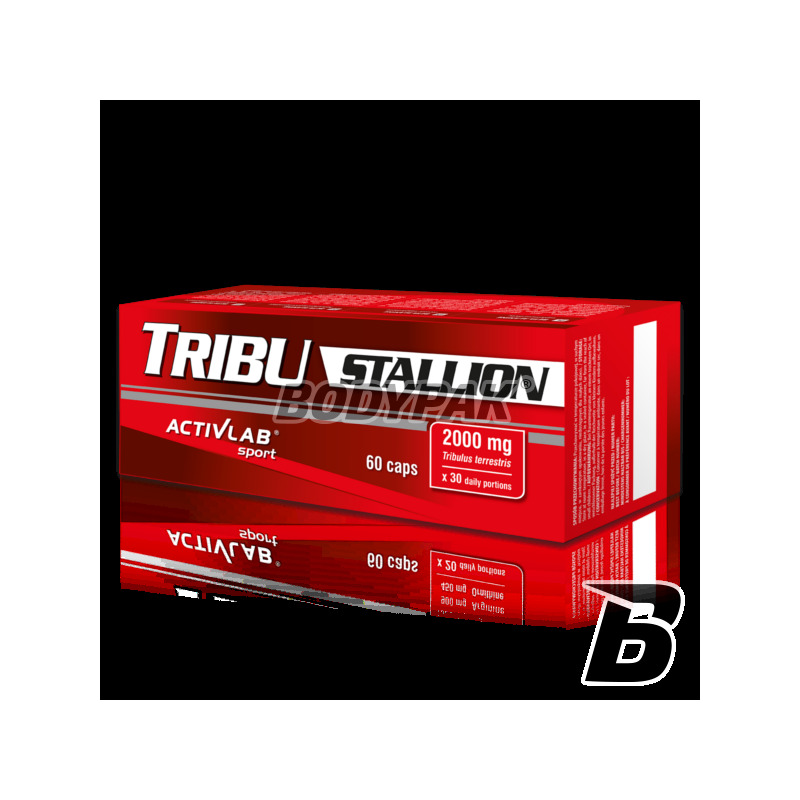 Activlab Tribu Stallion contains highly concentrated plant extract of Tribulus gas with high content of steroid saponins. Regular use increases the level of DHEA in the blood and free testosterone levels, which can translate into increased strength, durability and regeneration of muscle mass and physical exercises. Składniki: Ekstrakt z Tribulus Terrestris, substancja przeciwzbrylająca: stearynian magnezu, otoczka (żelatyna, barwnik: dwutlenek tytanu). Ogólnie uważam że tribulusy w rezultacie i ogólnym rozrachunku to produkty dobrze wpływające na libido a na sam poziom testosteronu :-) hmm tak sobie. ale abstrahując od mojej opinii, ten tribu jest cieniutki. Nie poleca tym, którzy myślą o wybiciu na wyżyny swojego testosteronu. Libido na plus. Anabolic PRO enhances the ability of anabolic body, so that you are capable of long-term efforts, after which your muscles want to continually grow.